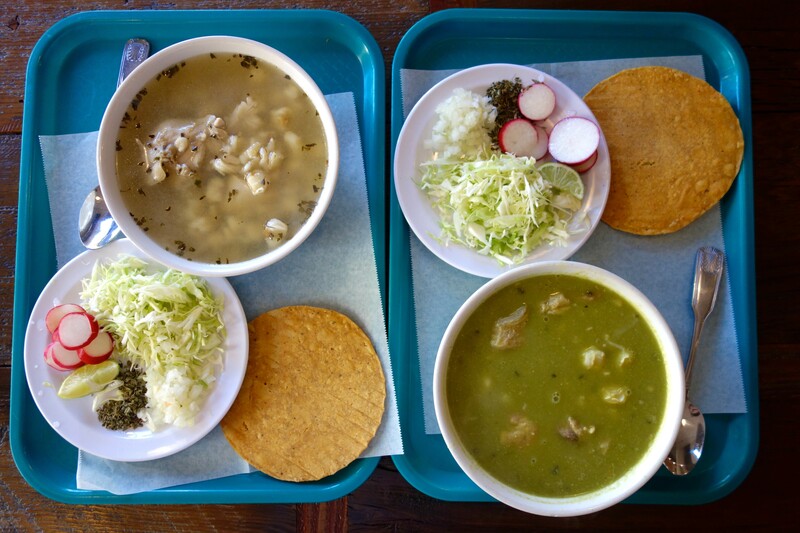 Obelisco serves pozole with all the fixings. A few companies offer food-focused walking tours of various neighborhoods in the East Bay, but until now, no one ventured into Oakland’s Fruitvale district. Thank goodness for Savor Oakland, because if there’s one district that truly deserves a tour, it’s Fruitvale. (Okay, and Chinatown, but it has one already!) Areas like Temescal and the “Gourmet Ghetto” have plenty of delicious eateries, but they also tend to be places widely covered by the media and attract tons of ratings on Yelp. Fruitvale is so dense that it can be tempting to find your taco joint and stick to it for the rest of your life. As a tour company, Savor Oakland sets itself apart by focusing on the history of its neighborhoods in addition to its delicious eats. The just-launched Fruitvale edition is designed and led by local food writer Ferron Salniker, who shows off a range of neighborhood hubs, including a market, a 19-year-old tamale stand, a Mexican ice cream shop, and new independent businesses such as Reem’s and Red Bay Coffee. At a media preview tour, we sampled torta ahogada (a sandwich drowning in a mild salsa, stuffed with barbacoa) from the tucked away Pipirin Taco Stand and three styles of pozole (hominy soup) with organic tortillas from Obelisco, among other bites. on the size of the group. Learn more at SavorOakland.com.